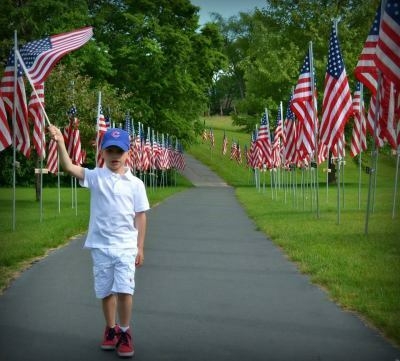 Memorial Day and the 4th of July holidays are a special time in Henry; the Veterans’ Walk, honoring both past and current members of the military is on display at Stoner Park in Henry. Veterans' Walk in Henry, Illinois is one way our community thanks those who have served their country. 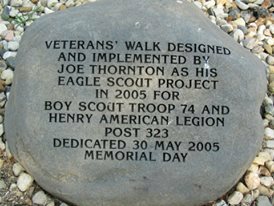 Started in 2005 as an Eagle Scout project by Joe Thornton, it has grown from 148 flags on Memorial Day 2006 to more than 1,000 flags in 2015, lining the half-mile walking path. 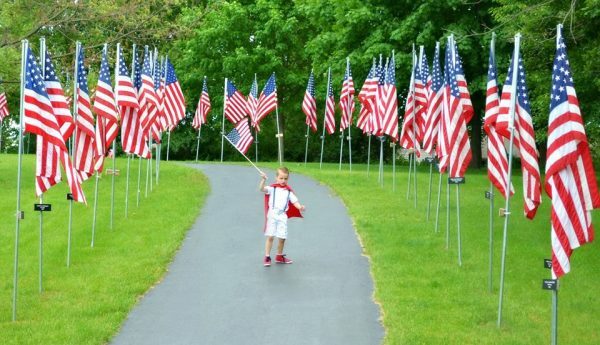 Each flag commemorates a person connected to the community who has served or is currently serving in our armed forces. One of the flags honors its founder for his military service in the Army. 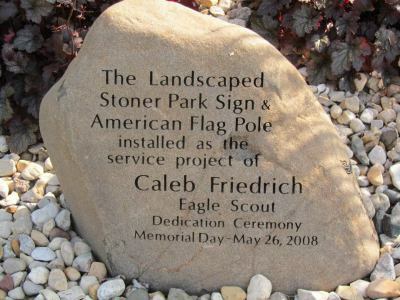 Although started as an Eagle Scout project, it was designed by Thornton to continue with the help of Boy Scout Troop 74, American Legion Post 323, and community volunteers who help erect and take down the flags before and after the holidays. Mary Jane Thornton, Joe’s mother, continues to be involved. Before each holiday, an article asking for volunteers is printed in the "Henry News Republican" with the dates and times that the flags will be set up and taken down. Volunteers meet at Stoner Park at the designated times. For those interested in helping, watch the "Henry News Republican" for notices.